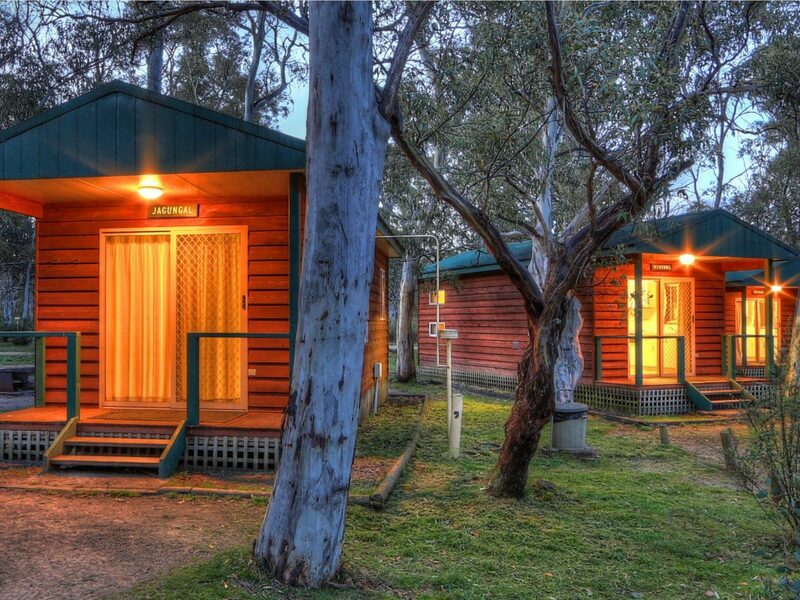 Kosciuszko tourist park is located inside Kosciuszko National Park (Fee’s apply) and is just a short drive from Mt. Kosciuszko, Australia’s highest mountain. 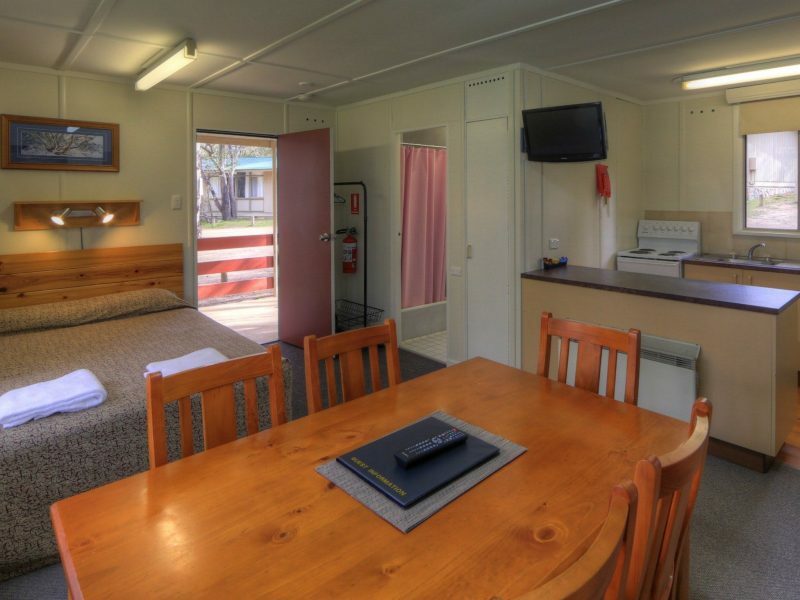 Their Heritage Chalets, Cabins, Caravan sites and Camping facilities are surrounded by a wonderland of alpine bush walks and amazing wildflowers, all set around beautiful alpine lakes and trout streams. Kosciuszko Tourist Park is just a short 14 kilometre drive, on sealed and safe roads to Perisher Valley’s 47 ski lifts. 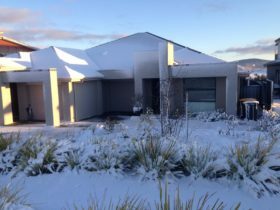 You can be closer to the slopes without the high cost of on snow accommodation and just a 15 minute drive down the mountain are the shops, supermarket, restaurants, clubs and movie theatre at Jindabyne. 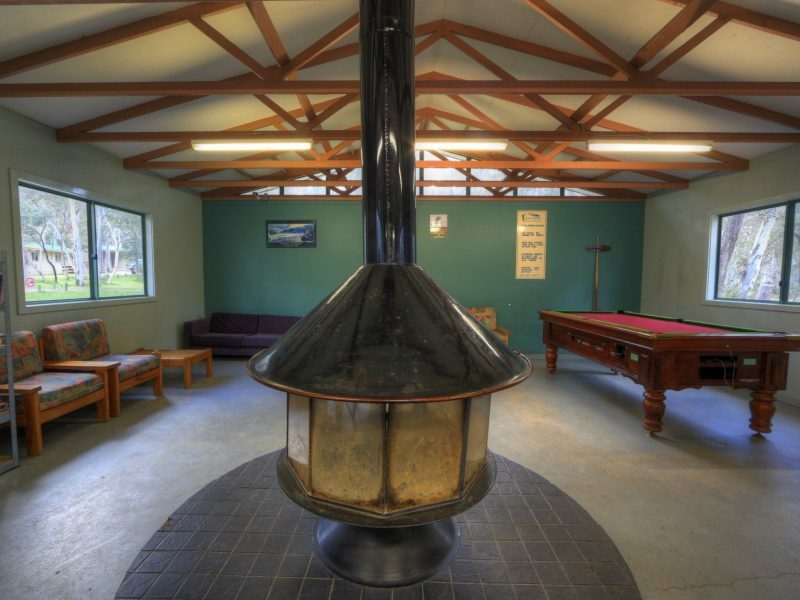 Their facilities include a Drying Room available for all guests and Camp Kitchen with a guests lounge and log-fire for your comfort. (Firewood available). 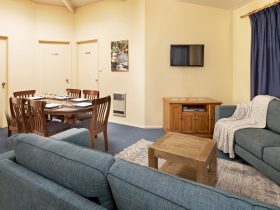 The Deluxe Spa Chalets sleep up to eight people and have three bedrooms and two bathrooms. 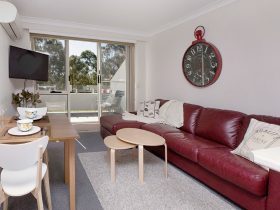 They are fully self-contained with kitchen, dining and lounge room, gas heating, colour TV, outside deck and gas barbeque. All linen is provided in Deluxe Chalets. Great family comfort for up to six people. 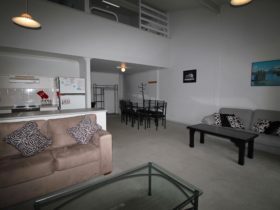 Fully self-contained with two bedrooms, bathroom, fully equipped kitchen and carport parking. Comfortable and cosy all year round with 24 hour silent heating, carpet and insulation. Most of the chalets provide one queen bed (with electric blanket), two double bunks, blankets, doonas and pillows. All you need to bring are your sheets, pillow slips and towels (these may also be hired). 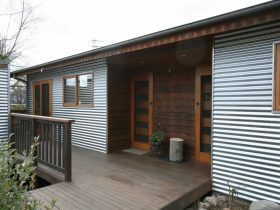 Modern cedar cabins are ideal for those on a budget but still wanting comfort. They provide blankets, doonas and pillows. All you need to bring are your sheets, pillow slips and towels (which may also be hired). For that bush camping experience, sharing the natural environment with friendly wildlife, you have a choice of large sites. Each site is drive through with safe drinking water, sullage sinks and a personal campfire/barbeque. To ensure your privacy all of these sites are spread apart from each other and set amongst the snowgums for shelter and shade. 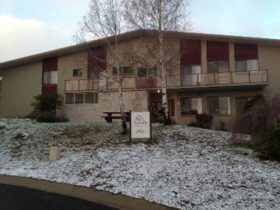 Their new features include a large guest kitchen and lounge with a cozy wood fire. This facility also has two stoves with ovens, microwave oven, sink, fridge, dining furniture, lounge chairs and free gas barbeque.